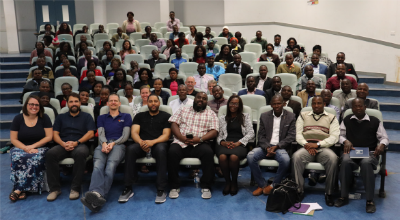 Over sixty individuals from six different southern Africa countries gathered in Botswana the first week of August 2018. They traveled by bus and plane to meet together for the second Southern Africa Church of God Conference. This is a conference that was dreamed up, planned, and implemented by the national leaders in southern Africa. Geremy Dixon speaks at the conference. The theme of the conference was “Rebuilding the Walls of Ministry,” taken from the second chapter of Nehemiah. 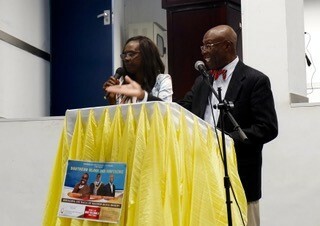 Attendees were blessed to have two special speakers from the U.S.: Rev. 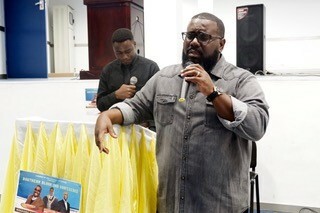 Geremy Dixon, lead pastor of Center of Hope Church in Inglewood, California, and Dr. Leroy Quashie, professor of social work at Anderson University. They encouraged and challenged us in our pursuit of unity. Leroy Quashie speaks at the conference. Since Mike and Heather first invited African Church of God leaders to gather in February 2017 in Rwanda, they’ve seen significant momentum building, especially in southern Africa. These leaders are committed and intentional in their pursuit of international connectivity and unity. God is building bridges between national leaders. To God be the glory! CHOG delegates from Botswana, Malawi, Mozambique, South Africa, Zambia, and Zimbabwe, as well as guests from the USA, gathered together in Maun, Botswana. Mike and Heather Webb serve as regional coordinators for Africa. Corey and Abby Stocksdale serve as missionaries to Botswana. Learn more about their ministries, including opportunities for support, at www.chogglobal.org. Article compiled from recent newsletter excerpts; to read missionary newsletters in their entirety, visit www.chog.org/global-personnel and click on a missionary picture. This entry was posted in All Church of God, Global Strategy and tagged conference, convention, Corey and Abby Stocksdale, event, gathering, Geremy Dixon, Leroy Quashie, Mike and Heather Webb, southern Africa, Stocksdales, unity, Webbs. Bookmark the permalink.